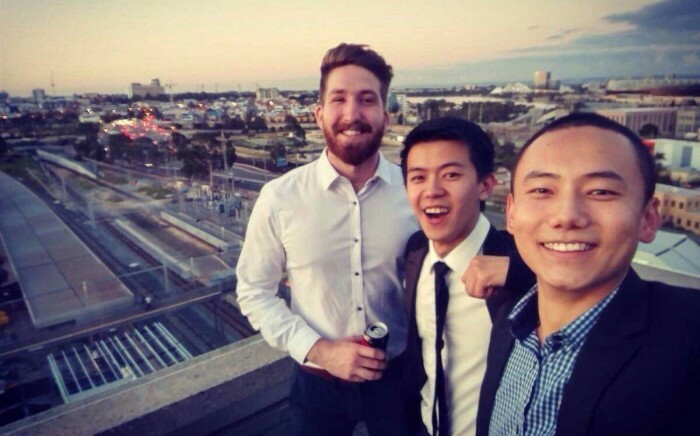 Wayne Lee is an aspiring engineer currently studying at Curtin University. Below he provides his story about how he and three fellow Curtin students took home top honours in the RTSA Challenge 2017, beating rival teams from Universities across WA. In second semester of 2017, my team and I were privileged to participate in the Railway Technical Society of Australasia (RTSA) Undergraduate Challenge as Team Eureka. RTSA is a not-for-profit organisation and one of their main goals is to promote the railway industry. During their employer visit to Curtin, the Technical Director, Maneesh Gupta, and his team gave us a broad overview of life as a rail engineer and informed us about the Undergraduate Challenge. I have always been interested in solving transport issues and constantly find myself thinking about ways to improve transport. This was a rare opportunity for me to explore my interest and because of that, I decided to participate in the competition. I found a few friends who were also interested and we registered as a team. The RTSA Challenge was conducted in teams of four and involved preparing a tender for a railway congestion issue. Charlie (Yu Wei Chang), Hardeep (Singh), Tim (Knausenberger) and I were given approximately three weeks to complete the tender and attended two sessions where questions could be asked. We started researching immediately after receiving The Challenge invitation, staying up many nights preparing and planning whilst balancing other commitments. It was during the first discussion session that we realised we were heading down the wrong path and started panicking! Realising that there were only two weeks remaining we drew a flow chart and made a template for the tender; this helped to understand the process better and kept us on track when filling in the content. We also noted down any queries we wanted to ask at the next session. On the night of the second discussion session we went dressed in our suits and ties, with a long list of questions and a voice recorder. We then sat in a quiet room after the session and replayed the recording a dozen times in an attempt to decode it. This was one of the strangest things I had ever done, but it proved to be very effective. We slowly added more content to the tender, reviewing it until the last minute. Finally, as the time for submission drew closer, we compiled the final changes, submitted it and gave each other a pat on the back. This was the most memorable moment of The Challenge and will be one that stays close to my heart. During the RTSA Challenge, I had to juggle between the competition, University assignments and other extra-curricular activities. I found this quite difficult and there were many times where I felt like giving up. At that point, I realised how important it is to be passionate about the work you do because it motivates you during tough times. In the end, the hard work paid off – we won the RTSA Undergraduate Challenge! The process was a very humbling and insightful experience; I was able to gain a stronger understanding of my role as an engineer and at the same time reminded myself of how much more there is to learn. My take away message is “direction is more important than effort”, as future engineers I think it is very important for us to contemplate this. Overall, I am really grateful to Michael Crocker, the Project Engineering Officer, and Maneesh for organising The Challenge and would recommend all engineering students to participate in a future RTSA Challenge. The Challenge is not only fun, but also helps you learn about engineering and the rail industry. If you participate with an open mind, I am sure you’ll gain a lot from the experience.